Worlds finest pickup system for the violin and other stringed instruments. The real world is analog, and analog sound is far from dead. Video review by Greg Olwell in Strings magazine, aug 2013. 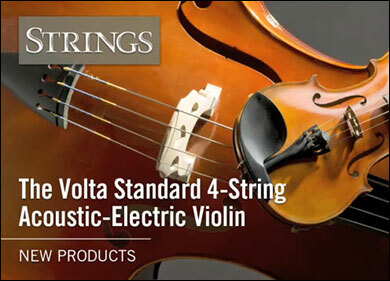 StringAmp/Volta Violin feat. violinist Mads Tølling. MusikLab is based on music. Music has great power. Music is a universal language, it speaks directly to your feelings beyond barriers of language, culture, and race. Listen to original music from many corners of the world and feel connected. I believe that music was the first human expression of art. Listening to live music is hearing the moment of creation in performance. Choosing carefully what you listen to can change your mood, your day, or your life. Be aware what you listen to. Inferior music and sound will influence you, too. MusikLab´s mission is to help making or listening to music.